Here you can find a short description of our illustrators. They are responsible for the fantastical look you can see for example on our website and in our flyers and for the illustrations in our program book. 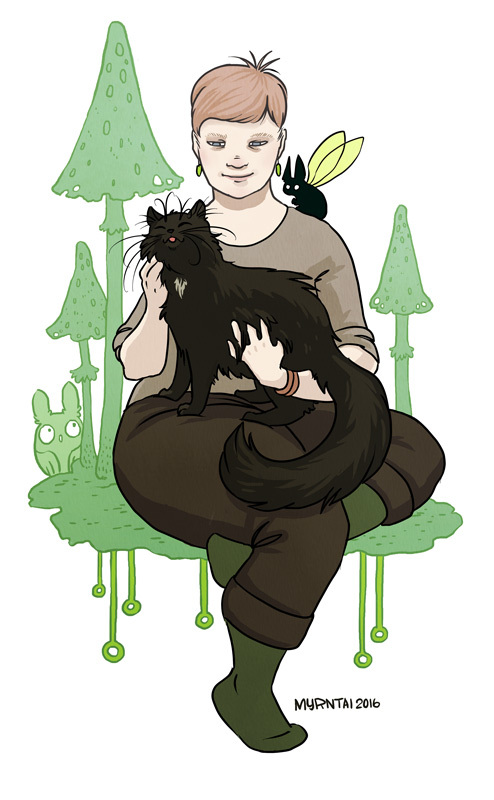 Taina Koskinen is a Finnish comics artists and illustrator. She was born in 1983 and lives in Tampere with her significant other and two cats. Taina has done illustrations for different events and her comics have been published in a couple of anthologies. She also self-publishes her own comic books, one of them is Otus Opus which also available as a webcomic. These days Taina draws and paint mostly digitally but balances it with playing around with ink from time to time. Maya Hahto is an illustrator and a graphic designer from Tampere. 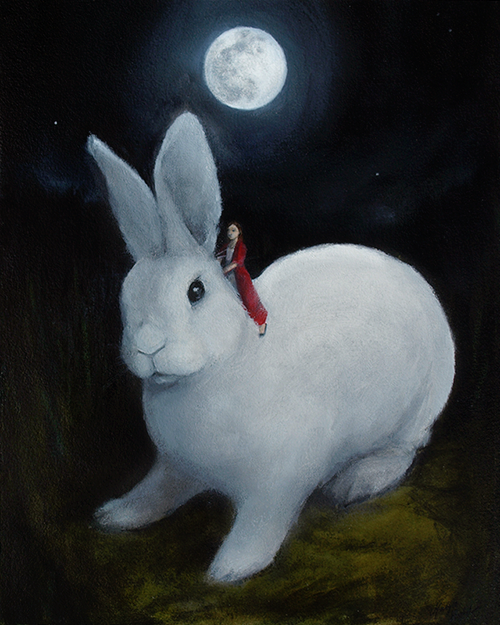 Her specialties are realistic portraits and fairytale illustrations. There is an art exhibition by Maya during Finncon. The works are illustrations based on well known fairytales and illustrations to stories that (for the moment) exist only in the paintings on display. Maya swears by traditional drawing and painting methods but also owns a wacom tablet for those digital “emergencies”. In addition to the art exhibition the guide book of Finncon 2016 is also of her design.